I have been trying to step out of my comfort zone recently to combat my many idiosyncrasies. For example, my friends know only to invite me to dinners because I won't go out afterward. No one includes me when having events in Brooklyn because I just won't go. And why would I go out to dinner on a weekday when I have work the next day? The BF has learned to live with it, because in all honesty, he's sort of a hermit too. 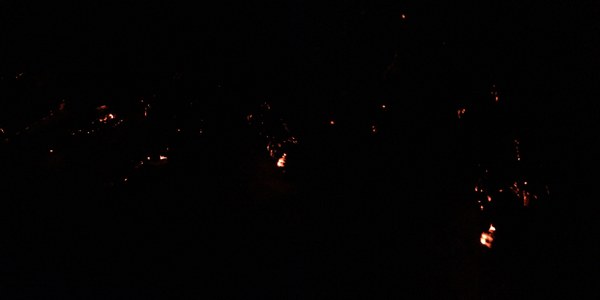 However, the other weekend, I did something totally uncharacteristic for me - I went to a bonfire after dinner. It's the most simple of things, but it was a huge step for me. I was hesitant at first, I'd rather be in the comforts of my own home, but with some coercing from my family and friends, I went regardless of my reservations. It was a really eye opening experience. The things I thought I hate to do, I actually enjoyed. Since that fateful bonfire I've done many un-Gaby like activities. I went out to dinner on a Thursday night and waited 20 minutes for a table. I went to Brooklyn twice in one weekend - for exploration and a birthday party. Lastly, I took the Long Island Railroad for a dinner in Queens. It seems insignificant, but I'm really proud of myself. This summer is officially dedicated to many more bonfire-esque experiences.